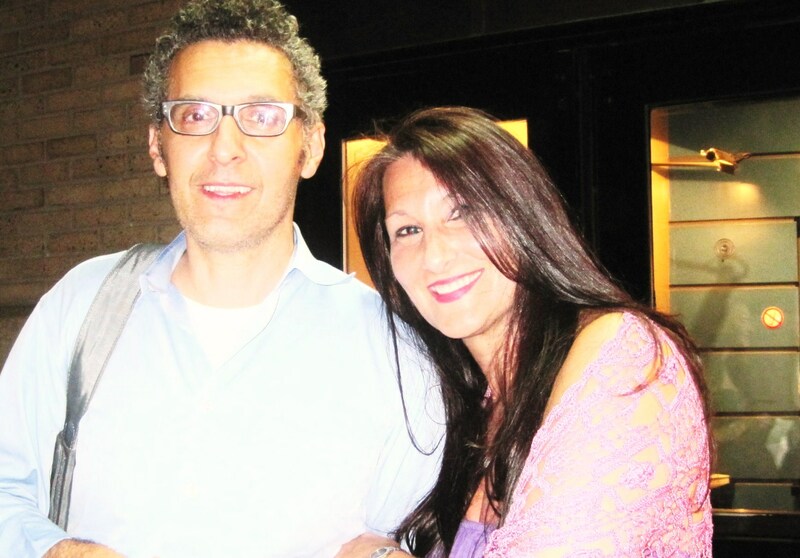 Educator Christine Termini Passarella speaking with director and actor John Turturro about his new film Passione which tells the story of Naples through song. John states that this place represents many cities that have undergone hardships but the strength is in its people. The film is filled with an enormous amount of talent and spectacular music. Passione is an amazing film that takes the audience on a historical journey of a city which experienced many challenges and rises up through the gifts of its people. Music is at the root of the expression of the townspeople from the very beginning. The title song Passione is performed by an Italian jazz musician James Senese. His mother is Italian and his dad was an African-American soldier. Although James did not know his father, he left his mother with the gift of understanding the importance of blues and jazz music which she shared with James. The power of musical expression had a profound impact on his life. James is one of the many interesting and talented personalities that we meet in this exquisite treasure. I am deeply moved standing here today. I thank Steve Fulgoni, Ravi Coltrane, Kathleen Hennessy Coltrane, and the other board members of the Friends of the Coltrane Home, but mostly I thank John Coltrane for allowing me to be part of the blissful journey to help educate children. As an educator, I found tremendous joy creating learning environments teaching through the arts. Trane wanted to create learning environments for children, places in which they could listen to music properly….to gain knowledge and inspirational growth. But tragically his life ended in 1967…and he was not able to continue this path Until now…and here we are gathered to help fulfill John’s mission and vision, one in which he shared with his beloved wife, and respected musician in her own right Alice Coltrane. We must teach children to be prepared for the life that they desire for themselves. Educating children so that they can find their own answers is key. My name is Christine Termini Passarella, I am an elementary school teacher and founder of the Kids for Coltrane Project in Education. The Kids for Coltrane Project is a hands on program that uses jazz to teach children about American history, civil rights, civic engagement, and team work. Children learn this through reading, writing, art and music. Nourishing their creativity, compassion and curiosity are all part of the experiences. After being introduced to John’s music on a deep level, I began to connect literacy, social studies and character education to songwriting, dance, and music appreciation. Out of this grew projects such as concerts, which the children and I created for the school environment and a beautiful outgrowth of the events was philanthropic opportunities the children could be part of. Helping the Coltrane Home move forward with their mission was one of our projects. In fact the garden you see and the refurbished fence was paid for with funds raised by my Kids for Coltrane students. The historic Coltrane Home you see behind me is awaiting the joy that comes to children when they are feeling respected for their true essence. Philosopher and writer Joseph Campbell calls it following your bliss. John Coltrane in his journey on earth experienced this bliss…courage to be who he was born to be. He told us his story through his art form of music. The foundation of my work has been inspired by Dr. Howard Gardner whose work comes out of Harvard University. Professor Gardner developed the Theory of Multiple Intelligences in which he tells us there are nine intelligences that exist in human beings….they include linguistic, interpersonal, musical, and more. Teaching to and respecting these intelligences have been at the root of my program. In 2008, renowned jazz historian Nat Hentoff, writer for the Wall Street Journal and author of At the Jazz Band Ball: Sixty Years on the Jazz Scene and many other books noticed my work and nicknamed my students “Kids for Coltrane”. As my very young elementary school students were touched by the music of Trane they asked me to find a way not to let them go as the school year came to a close. After receiving a powerful note from one little boy named Andrew Ortiz, asking me to find a way to keep the Kids for Coltrane students together… it became clear to me that this work was important at a higher level of consciousness, as more and more children revealed that they too wanted be Kids for Coltrane. “Please Ms. Passarella may I be A Kid for Coltrane?” I would hear time after time. I searched for a way to make that happen. How could I offer this educational opportunity of such an edifying nature to more children so that they too could learn about creativity, courage and curiosity, in which dedication and hard work become part of their educational journey? I heard the answers in John’s music…his message of goodness rang out to me loud and clear. My students heard it too…love transcends…I had a dream in my heart and mind that it would be here in this home. I created Kids for Coltrane enrichment groups which allowed me to offer programs which were inspired by John’s music to students across grade levels. As it would turn out, I received a call from Steve Fulgoni, President of the Friends of the Coltrane Home in which he had a request of me. Now we are uniting the mission and vision of my Kids for Coltrane Project and the Coltrane Home. Steve, Ravi and Kathleen have been tremendous supporters of my work from its inception. They have never wavered and clearly saw the good in the project and could see the exquisite connection between the education project and the plan that Alice and John wanted to bring forth. John Coltrane was a genius. He was a musician who affected the lives of many who crossed his path literally and musically…jazz music was changed forever from his creative contributions. The true story of American History can be heard through the roots of the blues and the transitions that take place in jazz music. Honoring the creators of this music brings a richer awareness to the African American contributions to our country. There is much to do. The dream is to have this historic building transformed into a learning museum…this sacred place in which John Coltrane wrote the music entitled A Love Supreme…A song that now stands for brotherhood, love and respect of the individual…As the Coltrane Home transforms into a learning museum you will be able to hear the birth of ideas and the joy of laughter…the sounds of young hearts grateful for the moments which help them honor the essence of who they are and help guide them on their paths. In the art of the music is a message….and The Coltrane Home will be the place where music will be heard and absorbed into the hearts, minds and souls of our children. John once said, “ I want to be a force for good,” Our coming together in his name today will insure that John’s wish comes true. 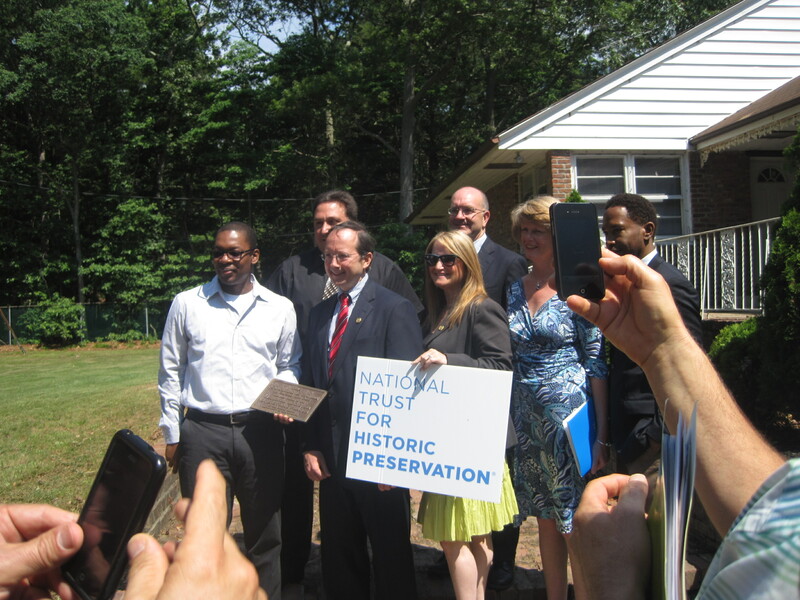 I am grateful to the National Trust for Historic Preservation for naming the Coltrane Home in Dix Hills to its 2011 list of America’s 11 most endangered historic places. 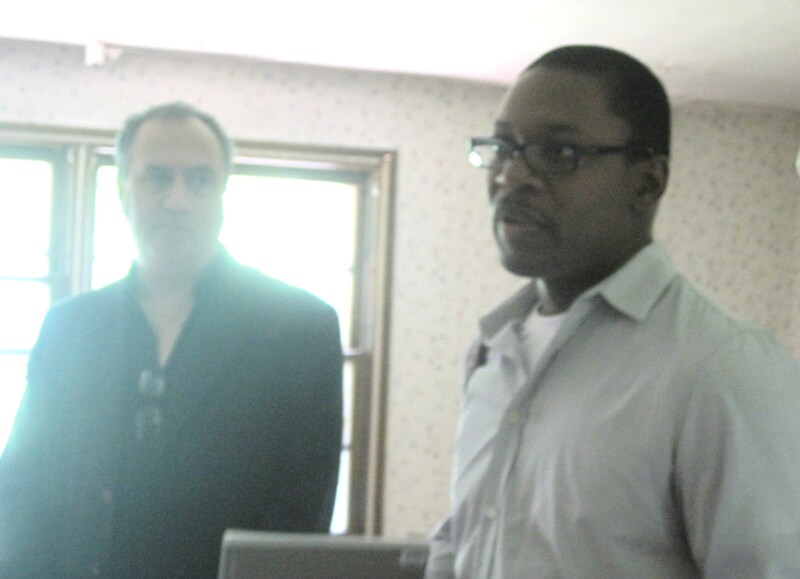 Ravi Coltrane spoke at a press conference on June 15, 2011. The National Trust for Historic Preservation is helping protect the historic home of jazz legend John Coltrane. The home was put on their list of 11 Most Endangered Historic Sites in America. The Coltrane family and the not -for -profit Friends of the Coltrane Home have succeeded in saving the home from demolition. President of the Friends of the Coltrane Home, Steve Fulgoni along with the Town of Huntington had raised almost a million dollars for this effort. Now more must be done to restore the home into a place of beauty and create a learning museum. The National Trust for Historic Preservation understands the urgency and significance and is asking for our help. You can be part of this supreme effort by making a contribution. Go to www.thecoltranehome.org. Photo taken by me in the room Ravi’s father, legend John Coltrane, created the masterpiece A Love Supreme. 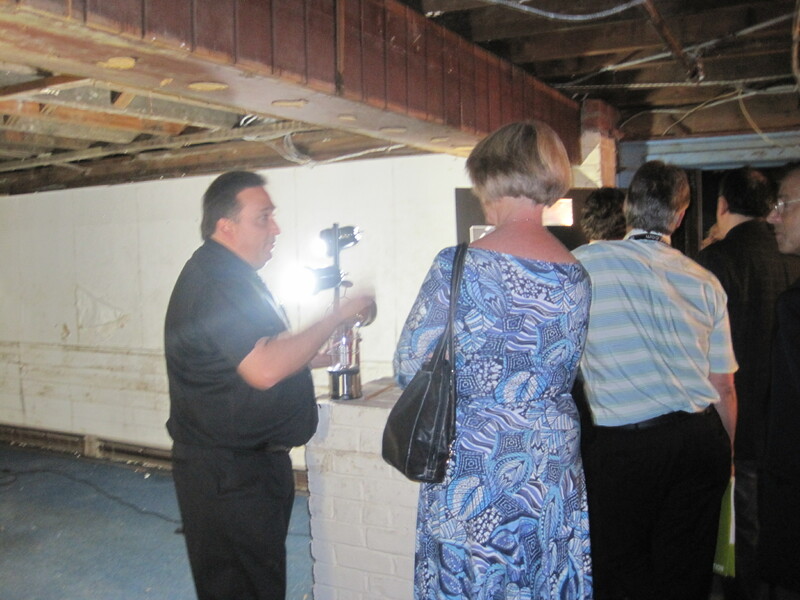 President of the Friends of the Coltrane Home, Steve Fulgoni, talking to the press about the importance of the restoration effort in the space that was John Coltrane’s recording studio. Looking on is Wendy Nicholas from the National Trust for Historic Preservation. 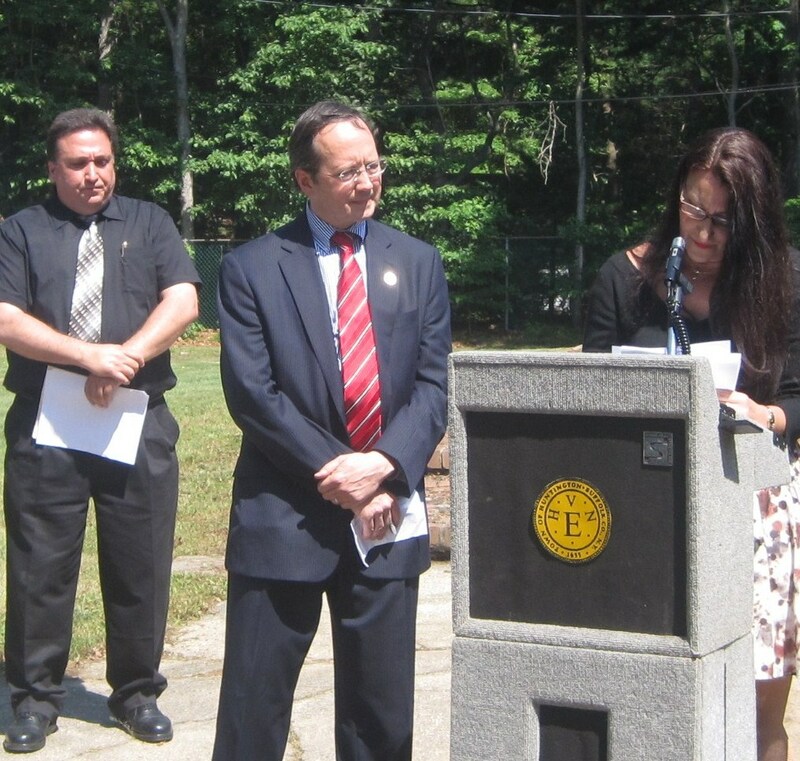 Wendy is the director of the Northeast office and came down from Boston for this important event. During a luncheon afterward Wendy commented to me on the value of the work that the Kids for Coltrane Project in Education is doing to keep the legacy alive. The Friends of the Coltrane Home group is doing a tremendous job and my students and I support their work. New York City school teacher and founder of the Kids for Coltrane Project in Education, Christine Termini Passarella, (that’s me) speaking about the importance of the Coltrane legacy. The Kids for Coltrane Project and the Friends of the Coltrane Home are uniting our efforts to help share John’s work and message with children all over the world. A special thank you goes out to the Holliswood School community for their incredible support and dedication to this work. I also want to thank Kids for Coltrane parent Lisa Halstead for sharing this day and witnessing history in the making. Her daughter Jada along with 48 other children are part of my Kids for Coltrane Project. On June 22nd the children will be honored for being Kids for Coltrane students at our Awards Assembly. They will be singing High Hopes…the kids send Steve and the Coltrane family their best wishes, reminding them always to have High Hopes…we are all getting closer to seeing this dream become a reality. Ms. Christine Termini Passarella meeting saxophonist Ravi Coltrane at Birdland NYC. Ravi was proud of The Kids for Coltrane. We raised $1,500 for the non profit group Friends of the Coltrane Home…please check out their site and mission. The Kids for Coltrane dream of the day that John’s Long Island home is transformed into a learning museum! The Kids for Coltrane with contributions from Jazz at Lincoln Center…Thank you Joanna Massey. Your support meant so much to us! William holding his grand prize , an Eastwood guitar. First prize winner Maya with her little sister holding a letter of support from the Clinton Foundation and the book Giving. President Clinton donated an autographed copy of his book and dedicated it to Maya. She was thrilled to receive it, and be part of this philanthropic effort!! An extra special thank you goes out to saxophone player and former President of the United States of America William Jefferson Clinton.